1) We don’t know when a new Owner or Tenant Moves In. We want to know and add them to our Central Database on ADDA. 2) We don’t know when an Owner or Tenant Moves out. We wish to ensure they have paid all their Dues, completed other Move-Out processes, de-activate them from ADDA. These Issues are now SOLVED! Announcing the launch of the new feature “SHIFTING” on the GateKeeper tablet, in hands of the Security Guard! Whenever a Movers Truck comes in, they can capture minimum data of the new Owner/Tenant. This shows up in your ADDA Admin view instantly, and your Manager can complete the verification and add the New Resident to your central ADDA database. The Move-In charges can get posted instantly as well! In case the Movers Truck is for a Move-Out, the Guard marks this Flat as being Moved Out, which sends instant notification to the Manager who can then ensure that Move-Out processes have been followed! For an apartment complex, a major expense is staff salaries. And for making sure that they are paid neither more nor less, it is vital to have their attendance tracked well. Traditionally, attendance was maintained in physical ledgers, where each individual would manually sign their name and time of entering the premises and repeat the same at the time of exit as well. Unfortunately, this system has many flaws. Not only would such a flaw upset the finances because salaries could get incorrectly calculated, it could also compromise security and safety of residents. Here are some of the major drawbacks of old ways of maintaining staff attendance. Suppose there’s Maid A, who wants to help Maid B, who secretly went away on vacation, but is still wanting to receive payment for days taken off. On these days, it is easy for Maid A to give proxy for Maid B, by signing for her in the staff attendance register. In reality, staff inside an apartment complex are constantly replaced and everyone cannot be familiarised with each other’s faces. People who were banned from the premises, for either criminal activity or indecent behavior, could re-enter as blacklisting in the ledger isn’t really an option. Physical ledgers are easy to destroy. Mere negligence is enough to have them rendered useless. Many apartment complexes that depended on ledgers for staff attendance have complained that not only is the writing in it illegible, the very condition of the book is often near next to dilapidated. How good is such a book when it comes to tracking somebody’s attendance? And how easy is it for someone to intentionally damage that ledger to cover his/her tracks? If there is anything that is difficult to forge, it is one’s fingerprint. 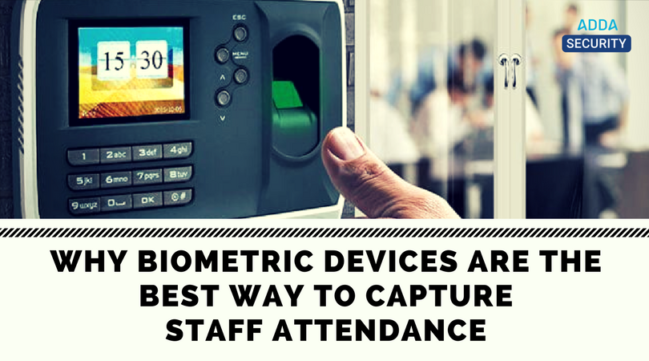 All over the world, educational and corporate institutions, hospitals and all kinds of organizations have started using biometric attendance systems and the impact is hugely positive. Such systems not only eliminate drawbacks of conventional attendance systems, they will also add some perks that are difficult to override. One of the biggest advantages of this system is that it prevents employees from clocking for each other. There may be some exceptional cases, where biometric systems are not able to read a fingerprint, because of injury to the finger or fingerprint being slightly eroded. First off, multiple fingerprints of the same person (prints of at least three fingers) are commonly recorded. And in the highly unlikely event that the staff managed to injure both their hands, superiors can step in and personally verify their attendance from an App based staff attendance tracking system like ADDA GateKeeper. 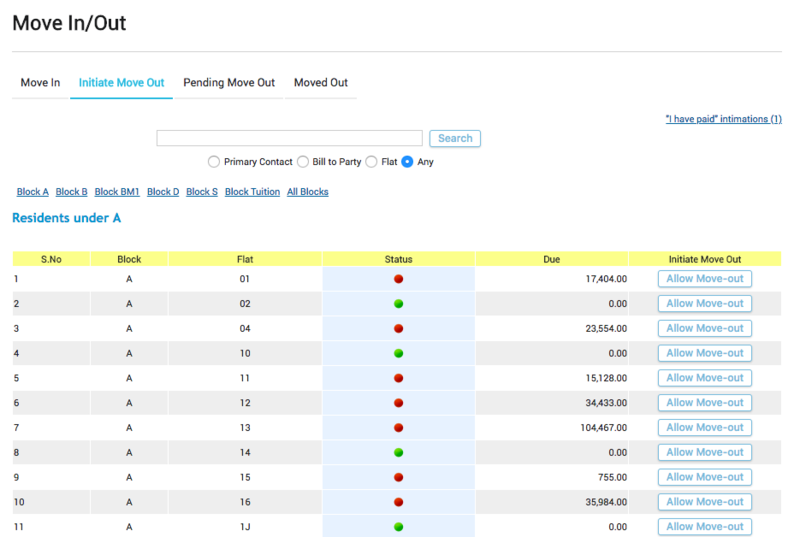 Some App based staff attendance tracking systems, use numerical staff ids to authenticate staff check-ins. It’s easy for a staff to give someone else their staff id and hence give proxies. Manual audit of such staff check-ins using their photos is not a practical solution for busy Society Managers and Admins. You can save on a lot of public money for the Association with proper tracking of staff attendance through Biometric Devices. 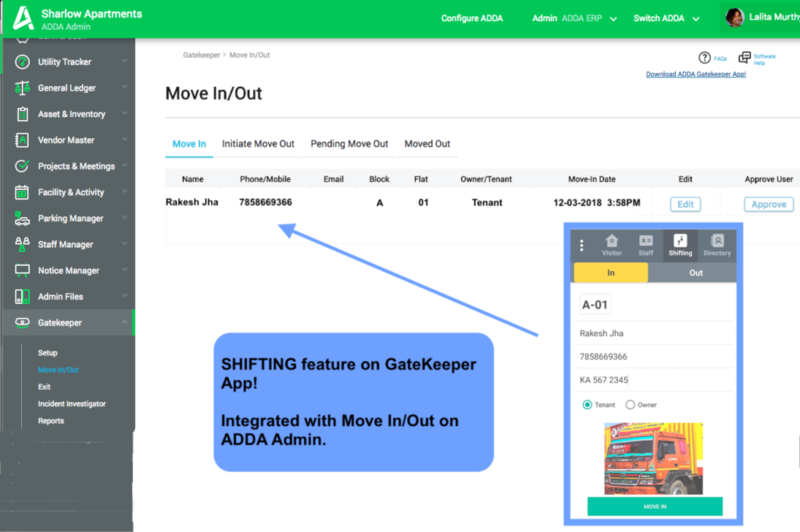 Through integration with systems like ADDA GateKeeper, you can program biometric devices to recognize blacklisted/retired staff, who are trying to enter and sound alarms for Security to take action. For App based staff attendance systems who give out numerical IDs, to authenticate staff entering a complex; Miscreants who want to enter a complex can easily get their hands on such a staff ID number, and enter the complex impersonating a different staff. Handwritten entries barely qualify as evidence of a person’s presence in a given spot. Biometrics, on the other hand, is irrefutable. If an employee claims to be absent on the day of a crime and the machine has recorded his biometric, that could boost the investigation in the right direction. With an attendance tracker in place, staff would probably avoid arriving late as they can no longer fake entry time. And this, in turn, increases their productivity and accountability, and will also provide the payroll department precise and accurate data for calculating payment. It is not easy to tamper with a biometric attendance system. It is very difficult to hack into such a system and change its records. And that is not all, physically damaging the system too can be difficult because a) manufacturers foresee this kind of contingency so the system is built accordingly b) there is typically a guard and a CCTV with eyes on the machine. Any attempts to damage it will be caught. 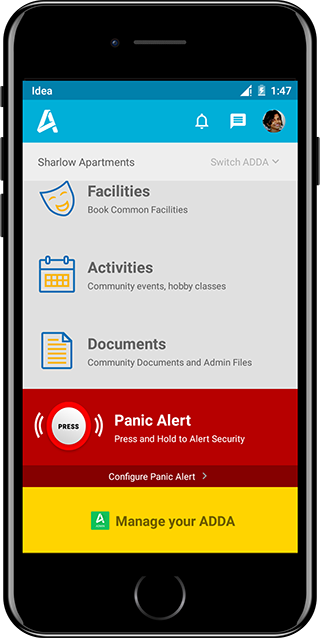 ADDA is specifically designed for apartment complexes and the members within. In fact, the GateKeeper by ADDA is one of the most practical security systems you can ever get your hands on to ensure security inside your society. 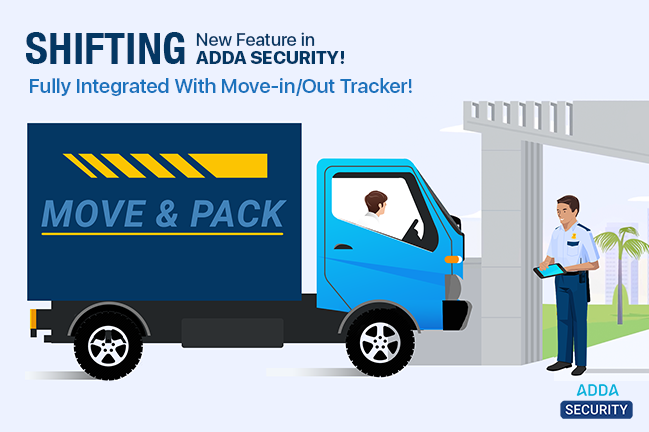 That’s not all, if you have a combination of the ADDA ERP and the GateKeeper, MCs, residents and everyone else will not only be connected but will also have features at their disposal to ensure the smooth and efficient functioning of the entire apartment complex. Why don’t you get in touch with us so we can schedule a demo for you if you are not a customer already. Make this New Year’s eve a fantastic night for you and your neighbours. We’re here to help you plan and execute your New Year Celebrations. 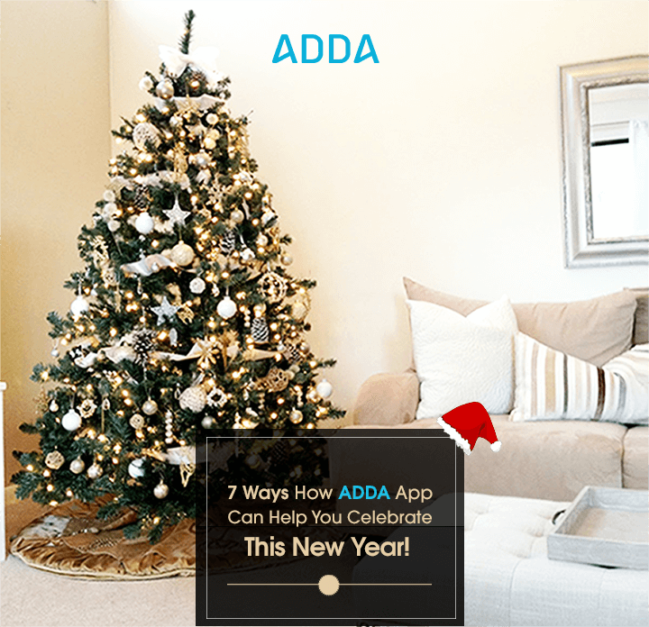 So for all aspiring party hosts of this year, here’s how ADDA app can help you throw the best new year bash ever! Do you have a long list of expected visitors this festive season? And those many annoying calls from your security guard, asking to verify your Guests? That’s all old stories now! 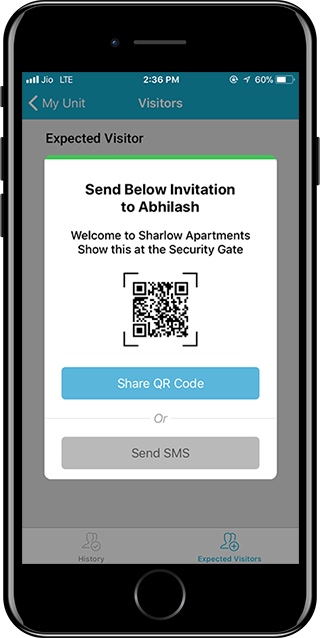 Add your guests as Expected Visitors using your ADDA GateKeeper App and make them feel special. Security Guards will let your Guests through without making them stand in the long queue at the gate trying to make entries. Welcome your Guests this season, to your Home with this smart technology. Are you planning to gift something special to your Domestic Help (Maid, Cook, Driver, etc.) this festive season? 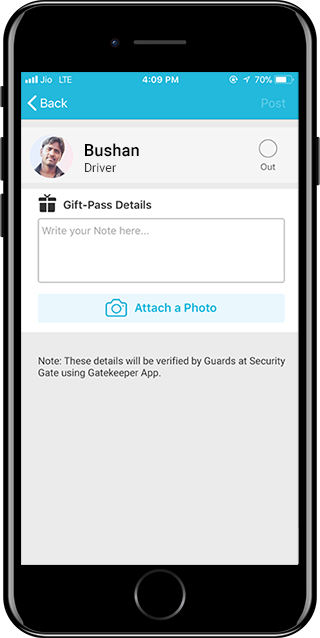 You can add it as a Gift-Pass in your ADDA GateKeeper App and your staff can walk out of the Security Gate, without being asked Gratuitous questions by the Security. Well, what if things do not go the way you planned, do not PANIC. Raise a Panic Alert. With your house, all arrayed up for the celebrations and with guests in your house, you do not want to take a chance. Security Guards are immediately notified on raising a Panic Alert and they can hurry to your help. On the other hand, a few of your neighbours also get notified. This assures you get immediate help in case of an emergency. You want to start the new year with a glowing new-like home, Don’t you? And you been neglecting that ever blinking light in your balcony or that leaking tap in the kitchen? What you can do is raise a ticket through HelpDesk in the ADDA App, and your society help (plumber/electrician) would come and get them fixed. Planning to host a new year’s party this time?and not able to find a place to host it, then why not book a facility from your community. All you have to do is open Facility Booking in the App, check for availability and confirm your booking by making a payment right from the App. This feature is mainly for the Management Committee members. If at all you want to announce any specific Guidelines or want to announce the specifics of your community event. All you have to do is post a Notice in ADDA Admin App and your message goes right to the phone of all residents. Our all-seeing Discussion Forum can be used for coming together as a community. A lot of good things start happening when neighbours come together to work towards solving common issues. Our discussion forum brings together the collective knowledge of the community to your disposal. So, wait no more! Hurry! download the App if you have not done it already and gear up for your New Year preparations! Let the festivities begin! Gather, socialize and forge friendships that will last a lifetime. Welcome the new year with joy and peace. Happy New Year everyone from all of us here at ADDA, May the year ahead bring you nothing but joy and prosperity! Each time the phrase “security system” is mentioned, what comes to most people’s heads is a series of TV screens that show live feed from different parts of a building. We’re sure you just imagined it in your head too! CCTVs have become a staple in most offices, commercial buildings and residential societies. However, how many of us are aware that CCTVs alone are incompetent to provide security? Ideally, a security system should be composed of equipment and manpower that can collective detect and prevent crime, while also creating a record of the incidents that occurred. We’re sure you already understand this fact, but make sure that the point sinks through, here’s detailing why we say so. CCTVs simply provide you with live video feed. Unless the cameras can sprout hands and legs to jump into immediate action, a crime in progress cannot be prevented. Or, there should be someone sitting glued to the numerous TV screens at all times. Someone in a Burqa or even a cap or hooded T-shirt can get away with sneaking around. CCTVs do not have X-ray vision to see through clothing or helmets. Many crimes have been recorded where the CCTV cameras at the site were broken badly. For criminals, it would be an added shroud of anonymity if along with wearing protective clothing they also broke the cameras. That way, no video recording of the crime would be available. Most CCTV systems do not alert officials or even people when suspicious activities are spotted. They will simply continue to record and/or live stream. Not very effective, especially when there are fires or similar hazards breaking out. The kinds that simply record are fairly inexpensive, but the ones that use Wi-Fi to broadcast are not exactly budget friendly. They also use up a lot of Internet which could be an added expense. And then there’s the fact that they become totally useless if the internet fails. CCTVs are not entirely useless. They are a vital part of security systems. It is just that such systems should include a few other elements too. CCTVs are effective crime deterrents in some cases because their very presence makes people reconsider the idea of committing a crime. Of course, that isn’t always the case. Technology is advancing at a rapid pace and so are the criminals using it. These days we even have network jammers that can block EM signals in a certain range. CCTVs can never be replaced neither can they be ignored. What we can do is to create a system that is more comprehensive of today’s security needs. What we really need is a video monitoring system that is combined with a feature to raise alarms and has manual guards to take immediate action while being solidly backed by technology. The ADDA GateKeeper is a groundbreaking tablet-based security system that behaves like the security nerve center of your entire apartment complex. Here are the benefits of this system. The security guards at the gate get to track every visitor, every vehicle and every staff that enters the compound. Residents receive notifications of each visitor checking into the compound with the intention of paying them a visit. Guards capture photographs and verify ID cards submitted by visitors. If a staff is caught doing something unusual or criminal, he/she can be blacklisted and prevented from ever entering the gates of the society. To top it off, the ADDA GateKeeper comes with a panic alert button which sounds a loud alarm alerting the security guard and also two safety contacts of the resident’s choice. Many complexes from across the country depend on the ADDA GateKeeper for all their apartment security needs. It’s summer vacation time over India and the holiday moods are in full swing! 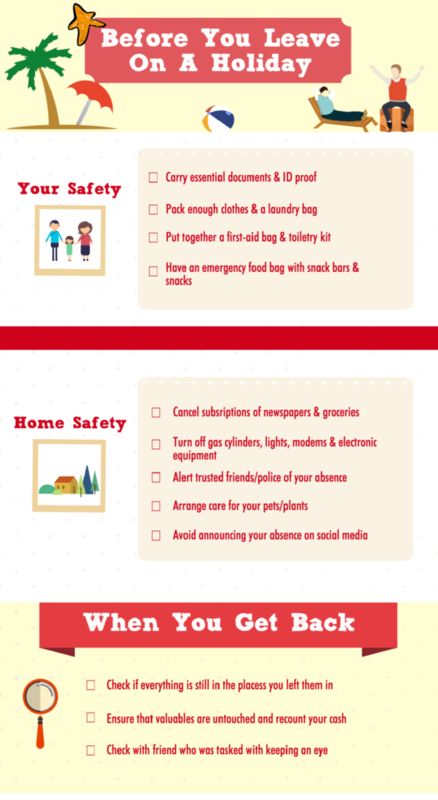 If you are planning to take a much-needed break and go on a trip with your family, here’s a holiday checklist of things to make sure that everything stays smooth. Now, if you are going on a very short trip, like two days or less, the amount of preparation needed would be quite less and limited to the domain of things you carry with you alone. However, if you are going on a long trip, the kind that spans several days or weeks, you’ll need to make sure that your residence is equipped to stay on its own.